Lee County School District’s (LCSD) Veronica K. Bradley, who serves as an Instructional Coach at Lower Lee Elementary School (LLE), has earned the Doctor of Education (Ed.D.) in Educational Leadership from Liberty University in Lynchburg, Va.
Bradley began her career as a substitute teacher at Trenholm Road United Methodist Preschool in Columbia, S.C. in the spring of 2008 and in LCSD as a substitute teacher in the fall of 2008. The following fall she began student teaching math at Dent Middle School. Upon completion, she earned the B.A. in middle level education with an emphasis in English and math from the University of South Carolina in Columbia, S.C. in 2010. While working as an eighth grade English/Language Arts (ELA) teacher and chair of the ELA Department at Chestnut Oaks Middle School in Sumter, S.C., Bradley earned a master’s in curriculum and instruction with an emphasis in reading (2013) from Concordia University in Portland, Ore.
Bradley earned the Education Specialist (Ed.S). degree in curriculum and instruction from Liberty University in Lynchburg, Va. in 2016 while working as a school-based literacy design collaborative coach at Chestnut Oaks Middle School. She made her way back to where she began – LCSD by way of LLE in Bishopville, S.C. in 2017, where she is currently working. 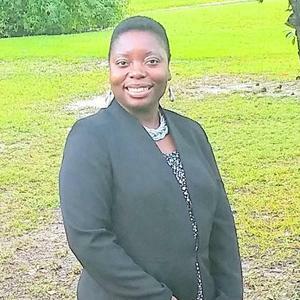 Having invested all of her professional career teaching in impoverished, rural districts, Bradley’s dissertation focused on the retention of mature teachers and motivating factors surrounding the occurrences. “Why Stay? Retaining Veteran Teachers in Predominantly Minority, Low-Income, Rural Schools: A Phenomenological Study” describes the lived experiences of seasoned teachers in these districts and their motivation for remaining in the context of Maslow’s hierarchy of needs.